I’ve been quiet far too long on here, so my apologies for neglecting this lovely place. So… down to business then. This first one is a newcomer to the blog, please welcome Selena Rae, who apparently shares my love of the abandoned shoe phenomenon! 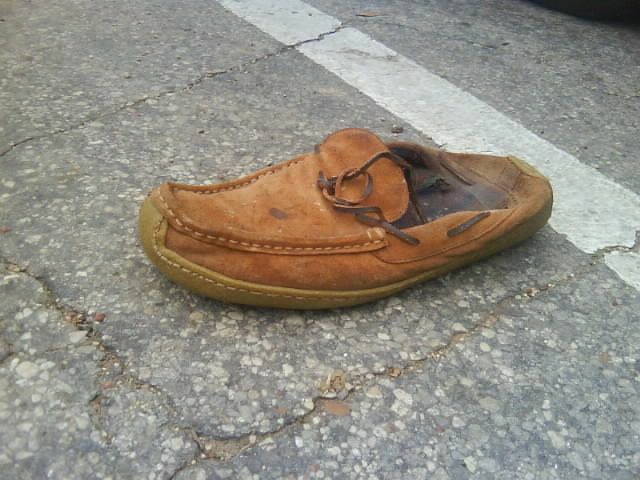 This delightfully dilapidated loafer was taken on 1st February 2010 at the Post Office parking lot in Giddings, which is in the lone star state of Texas! Seems they’re coming from further afield now folks, keep them coming. Super catch Selena! 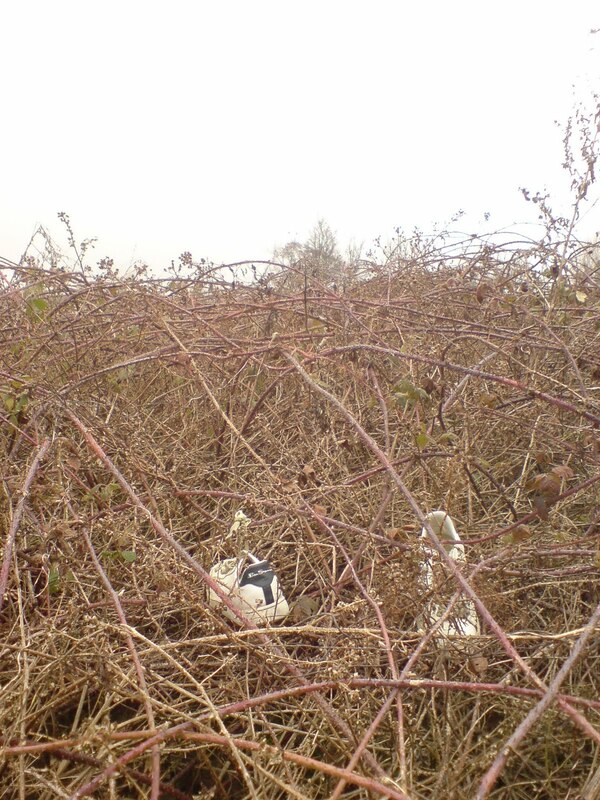 Next is a smashing if rather bleak shot of a young pair of trainers, lost in these barren winter brambles was taken by our lovely Rachel on 27th of January 2010, regular appearing photographer here. Thanks wyfe! Wonder if they were thrown in the bushes whilst they were still covered in foliage and only show now the winter has robbed it of leaves? Thanks for following, oh and please don’t forget to click the ‘follow this blog’ link in the sidebar so I know who’s watching!